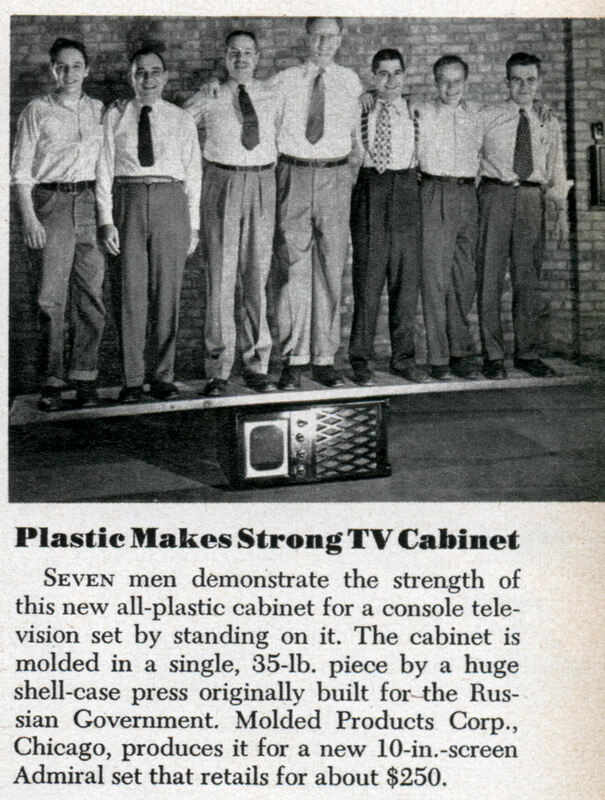 Seven men demonstrate the strength of this new all-plastic cabinet for a console television set by standing on it. The cabinet is molded in a single, 35-lb. 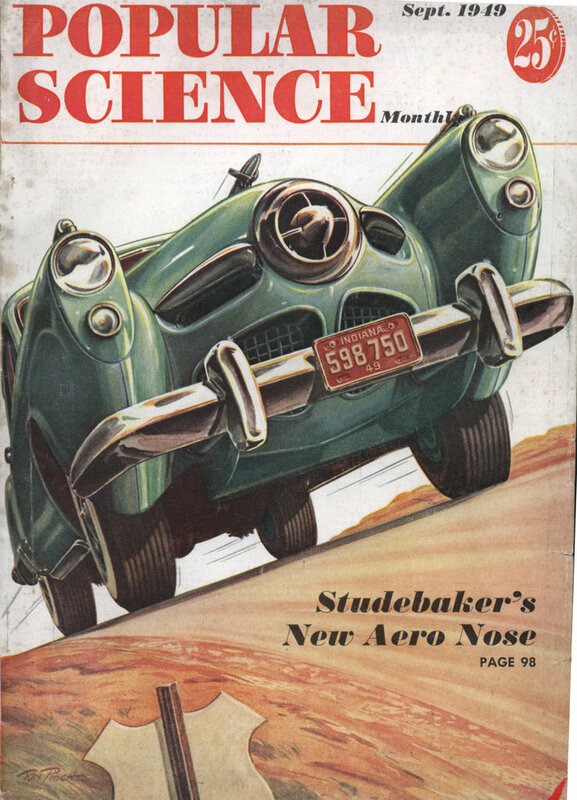 piece by a huge shell-case press originally built for the Russian Government. Molded Products Corp., Chicago, produces it for a new 10-in.-screen Admiral set that retails for about $250.